A more rare and rare occurrence, a little party hit the Uptown again, featuring Bad Boy Bill, DJ Magic Mike, c-Vaughn, NoMathematics, and Shaun Flo in the Main Room. 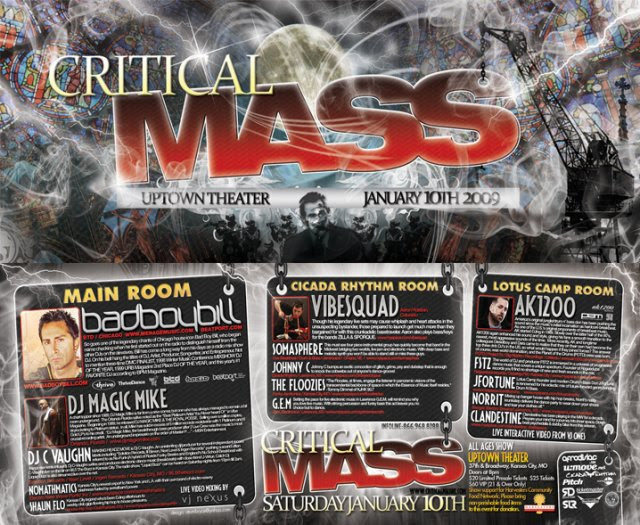 Cicada Rhythms sponsored another room and featured Vibesquad, Somasphere, Johnny C, The Floozies, and GEM. Meanwhile, another room (The Lotus Camp) featured AK1200, FSTZ, J.Fortune, Norrit, and Clandestine.